Multiple registration levels or ticket types. Custom registration questionnaires and forms. Inventory management with seating zones. 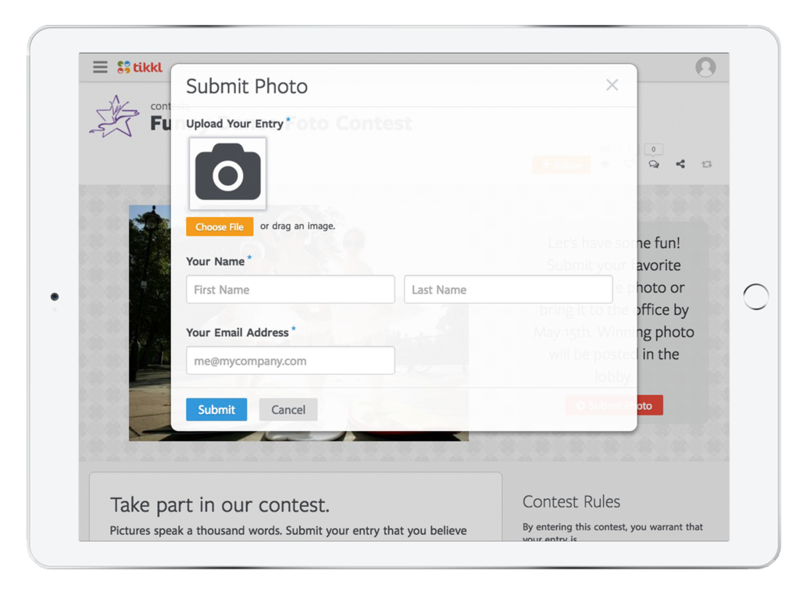 Publish short posts or articles with photos, videos, or slide presentations. Multiple question types including textbox, comment box, checkbox, star rating, multiple choice, matrix, and more. Images can be associated with payment levels. Empower your social network of customers and partner businesses to champion and cross-promote for you on Tikkl. Post about your campaign to your Facebook, Twitter, and LinkedIn pages. Send beautiful HTML email to invite and remind your audience. Track opens, clicks, and responses to your call-to-action (CTA). 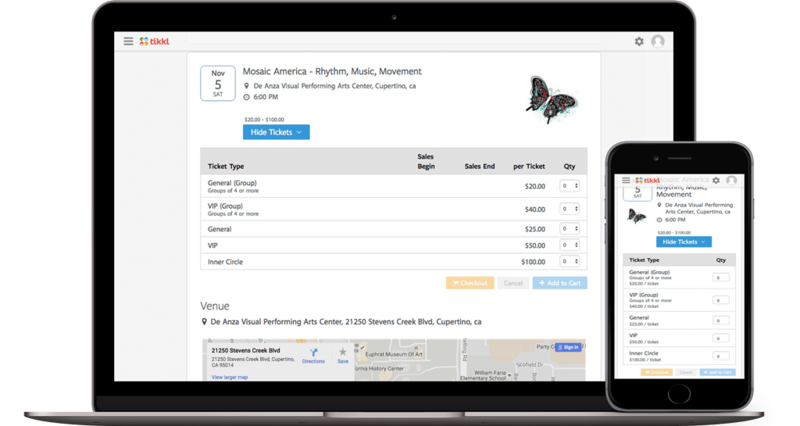 Embeddable widgets to display campaigns or sell tickets directly on your website. 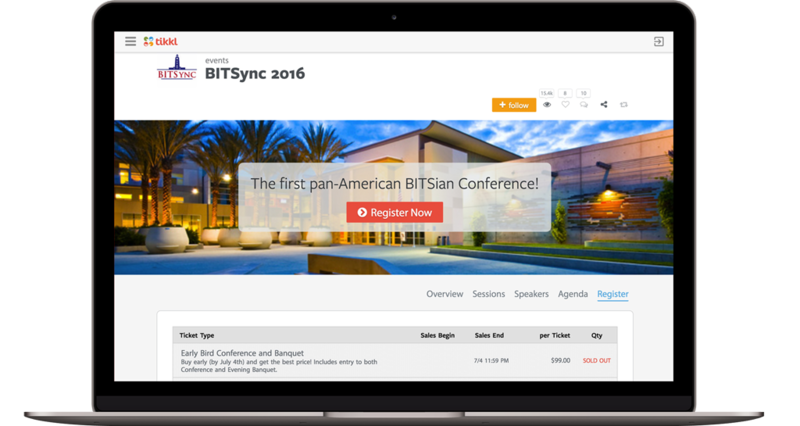 All event and campaign pages are mobile optimized to automatically detect and render appropriately on all devices. Display photos, videos from YouTube or Vimeo, and slides from Slideshare on your pages. Group photos into albums and play album slideshows. Create events and campaigns from scratch using Basic templates or start with Enhanced templates, pre-loaded with content and media, created by expert marketers. Control who can see your campaigns: Public (everyone), Public (registration gated with access code), Private (URL only), Private (invitee only). Accept credit card payments directly into your account using your own payment processor: Stripe or PayUMoney. Admins can also record offline payments for cash or check with no Tikkl transaction fees. 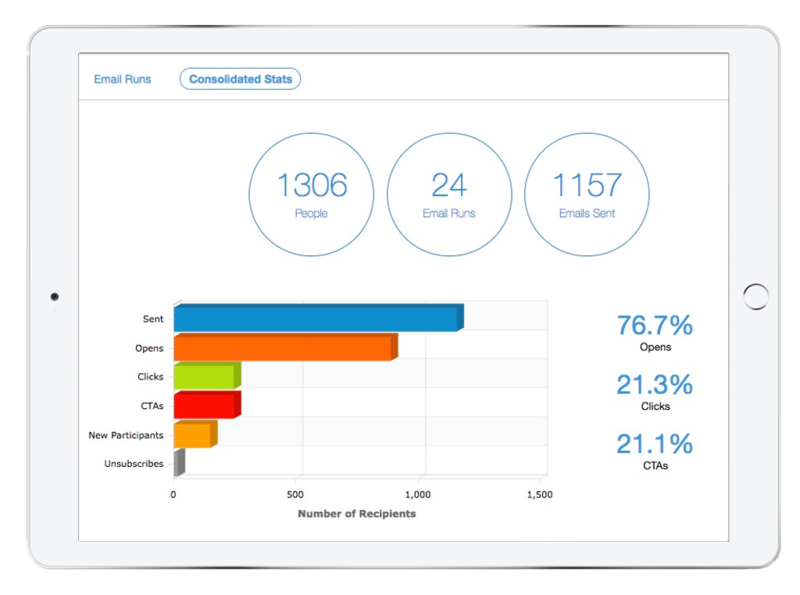 Intelligence on your contacts automatically consolidated as they participate across variety of campaigns. Receive notifications on campaign activity. Access real-time data on your dashboard. Download pre-created reports in Excel or CSV formats. 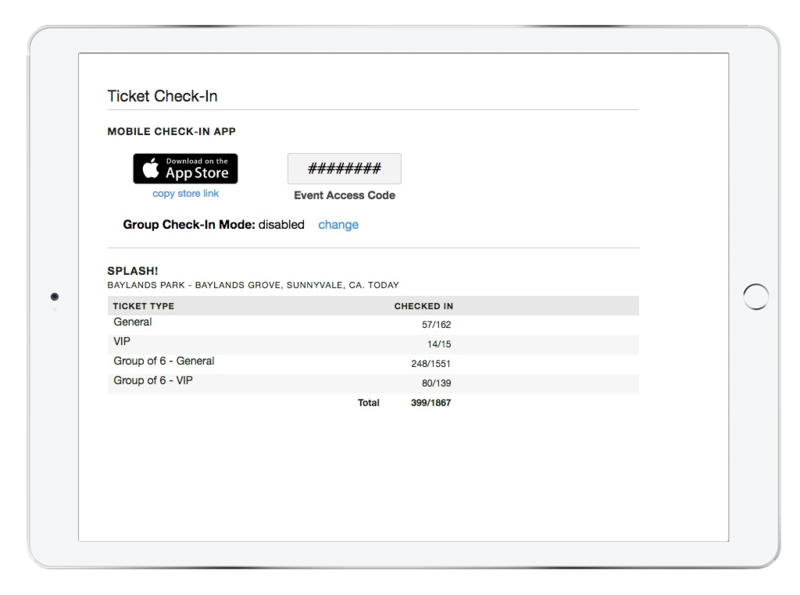 View real-time report of tickets checked-in with mobile app.